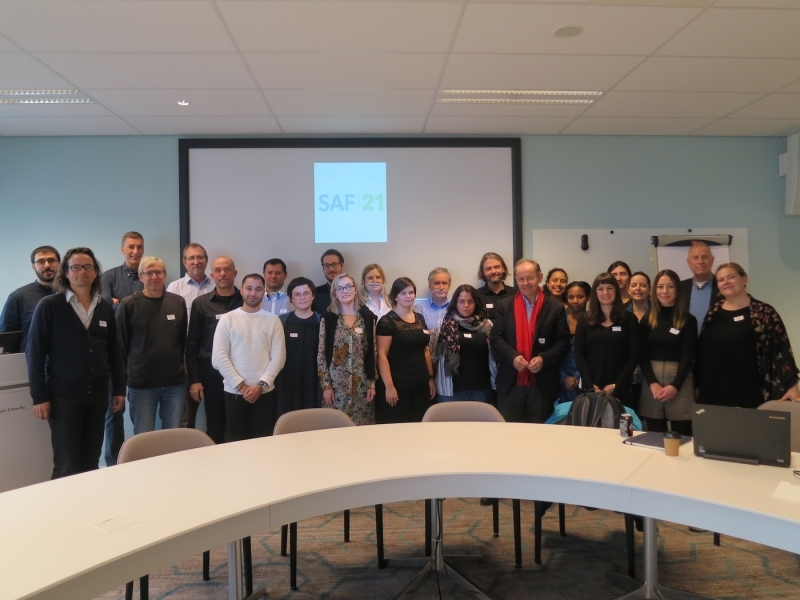 The whole SAF21 network is gathered for a meeting in Utrecht today, the 26th of October 2016. The ESRs and seniors have been joined by the project’s partner organisations and external evaluators for a progress and networking meeting. The external advisory panel is making sure that the project is progressing according to plan, and consisted of Nanda Wijermans from the Stockholm Resilience Centre, Grimur Valdimarsson from the Icelandic Ministry of Industries and Innovation, and Eva Hnátková from the European Council of Doctoral Candidates and Junior Researchers (EURODOC). Alison Mitchell from Vitae, UK and Sandra Vanhove, freelance science communicator, will join the meeting tomorrow. SAF21’s partner organisations are the Icelandic Ocean Cluster (represented by Eva Rún Michelsen), the Icelandic Small Boats Owner Association (represented by Axel Helgason), Itim International (represented by Sjaak Pappe), the South African Association for Marine Biological Research (represented by Larry Ollermann) and TrackWell (represented by Þorvarður Kjerulf Sigurjónsson). During the meeting, these partner organisation representatives have the opportunity to introduce their institution to the consortium and discuss training, secondments and research opportunities together with ESRs, SAF21 supervisors and members of the external advisory panel. The meeting started with an outline of the project from SAF21 project coordinator, Melania Borit, and was followed by presentations by work package leaders on their respective work packages. Following that several of the ESRs presented their projects, progress and future plans. The remaining ESRs will present their projects tomorrow, 27th of October 2016.